There's nothing better than taking a bite of a delicious meal you've prepared, knowing that each ingredient is helping create a more gorgeous you! Eating "naked" foods—nutrient-dense, additive-free whole foods— helps you lose weight and vastly improves the way you look and feel. 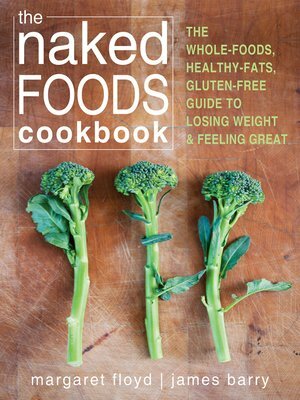 And with this book, it's easier than ever to make naturally tasty naked meals you can feel good about eating and serving to others. Written by Margaret Floyd, author of Eat Naked, and chef to the stars James Barry, The Naked Foods Cookbook includes over 150 gluten-free recipes for simple dishes that bring out the natural flavors and nutrients of fresh, whole foods. The benefits of eating naked are lifelong, and you can start seeing results within the week. So what are you waiting for? It's time to enjoy the naked foods your body craves. Your body will love you for it, and you will love your body!